Who doesn’t like a good tattoo, and if it is supposed to go on a tiny finger of yours it better be something really meaningful or at least cute. 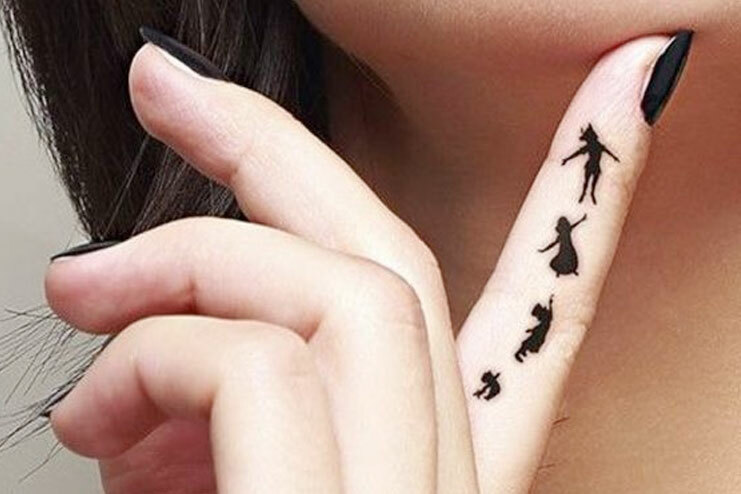 We have made a list of some great finger tattoo pictures that we found looked amazingly cute, And even though a lot of these tattoos are personalized to each person’s life, you can still glance for an inspiration. A lot of them are really nice couple tattoos that compliment each other and make beautiful tattoo design together. Just scroll through this list of 15 innovative finger tattoo ideas and decide for yourself what suits you the best. For ladies who want to keep reminding them to love more and believe more, Ink yourself with the most charming little font and a word that means something you. Like Love. For someone who needs to constantly want to do what they love the most, have it permanently inked on your soul just for the joy of having written something that you already are. For a beach bum who loves anything related to sand and the sun, have yourself a permanent reminder that your heart is somewhere else on the beach. A cute coconut tree on your finger will keep your low days refreshed, and your future vacations plans inspired. Similarly, if you love the ocean like no other, a cute tattoo signifying your love for the waves would not only look great but also keep you grounded. For the city girl, who loves the place you came from or the place you stay now, Dedicate a little finger of your to the city with a cute skyline of the city on your finger. Make sure you include the landmarks, so everyone knows where you come from. Or else wouldn’t it be great to have the most iconic monument you love inked on your finger as a way to keep reminiscing about the best time you had there. If you are a couple looking to get complementing love tattoos on a finger, there can be no better way to get inked than this. In your royal love story with crowns and a heart, or like the Queen and King of the Playing cards. No? Well, turn your eternal bond of love into this amazing eternity sign with your initials and seal your unending love in ink. Dedicate a little something to your pet, who has given you millions of reasons to smile every day and taken care of you in the toughest of times. Make a nice little picture of your dog or your pet bird to remember him for life. Forever. Embellishments for the princess in you who loves always to have a little something to stand out. Make these delicate little strings of pearls around your fingers and jewel up yourself for life. For those wander lusting souls who can’t keep themselves away from their backpacks, flights, and camera, how about a dedication to your lifestyle that keeps you motivated to do more travel.